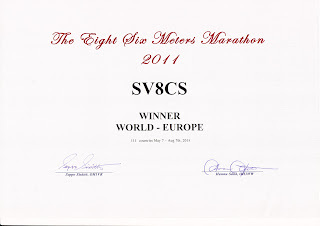 The 6m 2011 Marathon was started at 7 May and ended 7 August 2011. Thank you and I hope to see all of you next year in the 9th 6m Marathon. 73 de Spiros SV8CS.